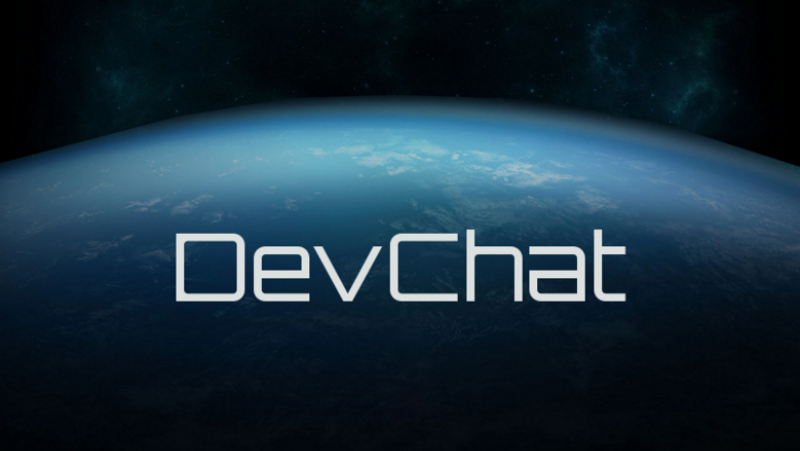 Welcome to another episode of DevChat, this time covering August 5th to 10th! First, a brief explainer. DevChat combs through the RSI chat logs, and picks out any interesting comments made by Devs. It amalgamates them, and puts them here, with quotes. While I try to provide context to the comments made by Devs here, these comments sometimes have a very off-the-cuff nature, and everything here should be taken, maybe not with a grain of salt, but for what it is. Interesting, helpful, though not always 100% official, information. That said, here comes DevChat! So close to Gamescom, there’s not much on Wednesday. Just a quick mention of Insurance and Ship theft, and how it’s not going to be as common as some people might think. (4:23:33 PM) CIG Matt Sherman: Stealing someones ship is not going to be an easy/common thing because you have to cripple them first without killing them. (4:24:11 PM) CIG Matt Sherman: The nuance of the insurance system is still being worked out, but there’s going to be considerations to stomp out collusion where people are intentional-victiming themselves to pirates. Thursday sees some talk about the new damage states, and the tech being used in the Gamescom Demos. When the new damage system comes, there will be some design posts accompanying, to explain it all. (1:32:43 PM) CIG Matt Sherman: Everything changes to some extent. It’d be a bit spammy to detail out in chat, but there’s definitely plans for some design posts to accompany the system when we get it all live. (1:34:04 PM) CIG Matt Sherman: Balance, standardization, feasibility in terms of making all the components. Lots of reasons. (1:35:44 PM) CIG Matt Sherman: When that happens, there’ll be a design post to go with it. The things featured in the Gamescom Demos are currently too buggy to release to the public. (6:17:37 PM) Bearded-CIG: The tech that is going into the creation of the demos is stuff that is important to future content that we want to release ( like anything we make ) but they’re way too buggy to release to the public. Tiny bit more talk on Friday about the AC 2.0 demo from Gamescom, and about the Merlin. Like the point on the previous day, AC 2.0, while it looked excellent in the demo, multicrew is currently too broken to play. The Merlin won’t ever get boost recharge, but it may get a wave-based restock, like all ships get for weapons. (5:34:12 PM) CIG Matt Sherman: Merlin won’t ever get boost recharge, but I was talking with Calix and we’re going to look at the wave-based restock on ships to refill boost fuel then. Nothing really over the weekend. Will Leverett went fishing. Ah, Monday. First day back to work after Gamescom. And, well… get ready for the info, cause there’s a lot. Matt Sherman is working on getting a better loadout table interface to us, which will be needed, especially once the new component system gets rolled out. (6:33:58 PM) CIG Matt Sherman: Ya, we’re going to be working on a better loadout table interface, but there’s plenty of things we also need in place to make launching it viable. (6:34:30 PM) CIG Matt Sherman: I’m trying to push more on that since we’ll really need to make sure installing components is clean and usable when we get the updated component system rolled out. (6:34:59 PM) CIG Matt Sherman: Changing one shield can be iffy as is, but when ships will all have multiples of components, it’ll really need a better way of making those choices. Time to Kill will change a bit more when the updated component / damage systems roll out, but it won’t be as much of a shift as 1.1.3 to 1.1.5 was. (6:40:12 PM) CIG Matt Sherman: The rocket-pods on the Delta being flexible in placement is more experiment than something set in stone. We’re seeing how they feel as more arrangable weapons. If they turn out to be breaking things with where they can install, we’ll reel them back in. For the modularity of the Tali / other ships, keep in mind that while all ships will have flexibility in what they equip, the modularity system will not be like lego blocks, or building out a home in a Sims game. The Tali’s modules are wholesale bay replacements, not a free-range positioning of parts. Modularity, even with various module-bays and component choices, still has plenty of restrictions. (7:20:50 PM) CIG Matt Sherman: Don’t over-think the modules that were announced for the Retaliator. While all ships will have flexibility for their tuning/etc, the modularity systems aren’t going to be like lego blocks or building out a space in a Sims game. (7:21:17 PM) CIG Matt Sherman: Like the Retaliator’s modules are wholesale bay-replacements, it’s not free-range position or replacement of parts. (8:53:20 PM) CIG Matt Sherman: Modularity isn’t a magic-catch all though. There’s still going to be plenty of restrictions/limits to each ship even with the various module-bays or component choices. Then unladen Tali might need its front and rear bays filled before it can be considered flight-ready. (8:55:02 PM) CIG Matt Sherman: Unlikely actually. Like AFAIK, the Unladen Tali’s will need the front and rear bays filled to be flight-ready. (8:55:23 PM) CIG Matt Sherman: You won’t be flying with big empty cavity space in your ship. The modules being sold for the Tali will work on any Tali, whether it was announced before the modules, or whether it’s the Unladen Tali being sold. (8:58:11 PM) CIG Matt Sherman: The bays will be interchangable between the Tali that had been sold in the past and the Unladen Tali, so if you get a Cargo or Drop bay now, they will work in the long-run. (8:59:01 PM) CIG Matt Sherman: All of those modules were just in concept stage, so the actual gameplay is still being built out. The Tali’s ‘working specs’ have the turrets up to S2’s now. (9:10:32 PM) CIG Matt Sherman: The current working specs do have the turrets on the Retaliator up to S2’s now. Fun with ripple effects of mapping out all these component changes. The connie will not have twin S4’s on each turret, though it will still have its S4’s on the nacelles. For every ship, not just the Connie, no assumptions should be made until the new weapon and damage systems are rolled out. (9:10:52 PM) CIG Matt Sherman: In the same regards though, the Connie is not going to have twin-S4’s on each of the turrets, those weapons are way too big. (9:14:09 PM) CIG Matt Sherman: Connie still has the S4’s on the nacelles, just for the housings on the turrets, S4’s won’t fit when it’s packed away. (9:15:08 PM) CIG Matt Sherman: Don’t make any assumptions until we get the new weapons and damage system rolled out honestly. (9:15:54 PM) CIG Matt Sherman: Every item will be changed, every component will be changed, most item names will be getting some changes or clean up to the new system. The F7A does not have an SKU, and cannot be owned. It’s just the body kit that was sold. (8:31:16 PM) CIG Disco Lando: There is no SKU for the F7A, so it’s impossible for anyone to own it. (8:32:28 PM) CIG Disco Lando: We sold 9163 of the F7A body kits. The Cutlass works as intended in AC right now. It just doesn’t have any of its intended ‘prey-ships’ to fly against. It will not be a 1-1 competitor to a Super Hornet. (8:44:05 PM) CIG Matt Sherman: Cutlass is fine, just doesn’t have it’s more intended prey-ships in or flyable currently. (8:44:45 PM) CIG Matt Sherman: It’s not going to be a 1-1 competitor to a Super Hornet, and it has always been a mixed fighter-cargo ship. (8:46:38 PM) CIG Matt Sherman: Even if the ship looked more like that concept art, it wouldn’t change it’s performance targets. (8:47:04 PM) CIG Matt Sherman: The ship could look just like that concept, but it won’t make it stand toe to toe against a SH in terms of handling/performance/etc. (8:49:16 PM) CIG Matt Sherman: That wasn’t a brand new Cutlass in the demo. (8:49:42 PM) CIG Matt Sherman: Don’t think that’s the final re-work that’s been planned. It was really more the existing Cutlass Black interior, some needed parts, and the Cutlass Blue body. No clue on when the Lancer will be flight ready, as the focus right now is getting the Tali and Connie setup. (8:48:05 PM) CIG Matt Sherman: Dunno when the ‘Lancers will be flight-ready. Right now, it’s still more getting the Tali and Connie setup right by 2.0. Don’t try to compare the Vanguard and the Redeemer, they’re nothing alike. (8:50:24 PM) CIG Matt Sherman: Redeemer and Vanguard are nothing like the other in terms of intended role. (8:50:33 PM) CIG Matt Sherman: Do not try to compare those 2 ships, very different functional roles. CIG know that the ship specs page is out of date, but when the rework of components / weapons / etc… is done, there should be a massive update to the specs page, to bring everything in-line. (9:21:59 PM) CIG Matt Sherman: Ya, the Ship Specs page is grossly out of date considering the upcoming component rework that’s brewing. (9:22:21 PM) CIG Matt Sherman: Though we’re working to make sure when that rework is setup, we can do a massive update to the specs and bring everything in line.